 The Raton-Clayton volcanic field, in the extreme northeastern corner of New Mexico, approximately 125 kilometers east of Taos, comprises Sierra Grande shield volcano and 125 cinder cones and associated lava flows, ranging in age between 1 million to ca. 60,000 years old. The impressive Capulin National Monument is the probably youngest cinder cone of the field. It is 305 m high and has a base diameter of 1.7 km and has a 125 m deep crater. Argon-argon dating has resulted in an age of Capulin at 56,000 to 62,000 years ago. The largest volcanic edifice is the large, extinct andesitic Sierra Grande shield volcano, which is 15 km in diameter and 600 m high. Highway 64 cuts directly through the center of the field and connects the towns of Raton and Clayton.